Anan Amri, the Light Forger. Begin carieer in 2007, Anan Amri rapidly gaining experience and trust. Started young and limited network, he build his name and reputation through his finest works. Even his personal experiment artwork were licensed to a North American publisher. Humans and portraits are his forte. Forging lights is his magic. Giving soul to every photos, every moments freeze forever. From the royal palace wedding to vvip families wedding, from celebrities to commoners, his experience in Malay wedding is vast with a few Chinese wedding portfolios. The corporate world also gets his touch. Ministry of Youth & Sports, MARDI, DRB-HICOM, SIRIM, TIME Engineering, Modenas and the list is growing. He was also given trust to take portraits of Egypt, Croatia & Philipines ambassador. The award winning film poster, Hikayat Merong Mahawangsa, created from his lights and cameraworks. 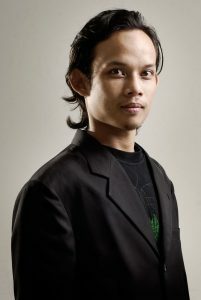 Other top movie posters he involved in includes Polis Evo, Husin, Mon dan Jin Pakai Toncit, CEO and many more. For 2018 he’s actively involved in fashion & product photography and online marketing. Salam..nak tanya about maternity photoshoot.berapa cost for that service ye? En blh bg detail x? Hope ur reply..tq. Terima kasih atas minat saudari. Saya dah email senarai perkhidmatan saya =) Terima kasih. Boleh email saya untuk details maternity photoshoot? boleh send pakej wedding photographer? Hi, are you free for wedding photoshoot on 19/1/19 in seremban. If the slot is still available, kindly email me your quotation, tq.